Ironwood Office Park in Glendale is preparing to open a co-working space for entrepreneurs and small businesses. Franklin-based Outlook Development Group is developing the space. The fully furnished office space, located at 5205-5225 N. Ironwood Road, is expected to open in mid-December and spaces will be licensed to businesses on a month-to-month basis. 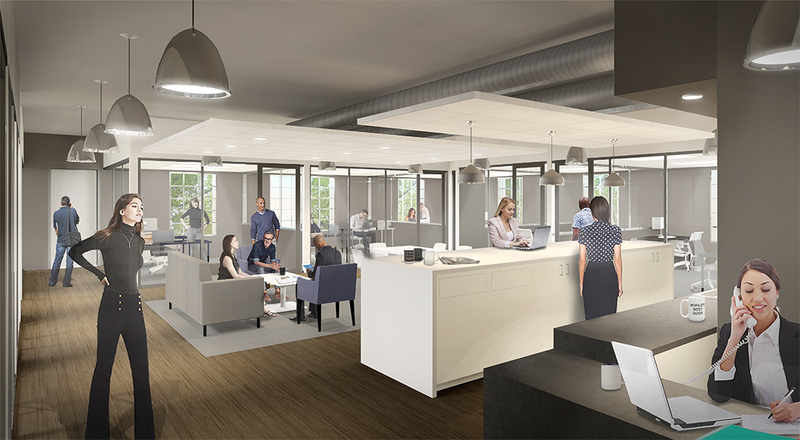 The office park will provide shared conference rooms and office equipment such as printers, as well as free wi-fi and a kitchen area with complimentary snacks and drinks, said Ray Balfanz, president of Outlook Management Group, which manages the property. Ironwood has set aside about 5,500 square feet for the co-working space, with plans to expand it if the space is successful, Balfanz said. It is divided into 16 offices of various sizes between 150 and 3,500 square feet. Outlook plans to host open houses to show off the space in the next couple of weeks, he said. Ironwood Office Park, which totals 60,000 square feet among three buildings, was sold for $2.45 million in April to Franklin-based ODG Ironwood LLC, which is registered to Matt Stamborski, principal at Outlook Development Group.